A refresh of the Apple TV is definitely coming at the right time. According to a new report from Parks Associates, Amazon’s Fire TV outsold Apple’s streaming video device in the United States in 2014. Roku continues to lead the pack with a 34 percent market share. Google nabbed 23 percent of sales. Amazon overtook Apple for third place. The report said that 20 percent of U.S. households with broadband own some type of streaming media player while 8 percent use a streaming stick like Google’s Chromecast. 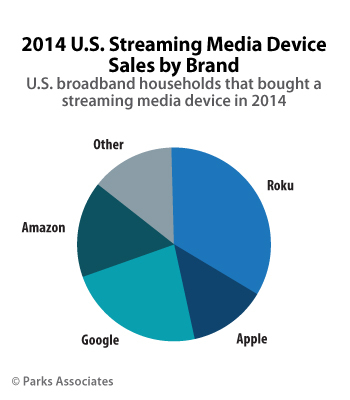 Interestingly, the report did note Apple TV actually led the Fire TV in usage. There are probably two major reasons for the Apple TV sales slip during 2014. First up, the device hasn’t been updated since 2012, and it sat on the high-end of competing devices with a $99 price tag. Apple slashed its retail price to $69 in March of this year. But after years of rumors, Apple seems to finally be ready to introduce a new version of the device. The next-generation box is expected to be unveiled at a special media event early next month along with new iPhone models and possibly the fourth-generation iPad mini. If the rumors are correct, the new box will definitely be worth the wait. Along with a smaller form factor, the device will apparently be running iOS 9 with a fast A9-series chip. 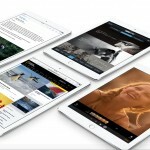 It will also feature a full App Store, a redesigned remote with gesture support, and Siri support. It’s unknown what the revamped box will retail for, but I think it’s a safe bet to say at least one model will cost the usual $99. And the new device should support Apple’s rumored streaming TV service when it arrives sometime in 2016. Apple is shooting to offer a number of live video channels from major providers like ABC, Fox, CBS, ESPN, and more for around $30 to $40 per month, easily undercutting most cable subscriptions. While I’m excited about a revamped set top box that should help Apple’s sales, I think the unique combination of hardware and streaming TV service could truly, once and for all, take cord cutting mainstream. For other news today, see: A new 1Password update improves Touch ID, Apple Watch support, Petulant Swiss watch maker Swatch trademarks Apple’s ‘One more thing,’ and Supply chains support ‘iPad Pro’ September production start.